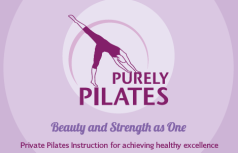 Over the last 19 years as a certified Pilates instructor, I have stayed abreast of my profession attending seminars, conferring with other instructors and taking classes, and reading countless articles on the newest trends in equipment, techniques and approaches in teaching. I support my commitment to classically teaching as I was taught by my mentor Romana Kryzanowska. I have observed that there is no shortcut to attaining perfect form…we seek to execute the most advanced routines as effortlessly as possible. When there is no resistance in our muscles and we move as if floating on air, I think that is the most supremely perfect we can achieve. Pilates is a training form of exercise, unlike the activity of spinning or a cardio class. It involves thought and a mindfulness of movement. As a teacher, my “voice” is an essential tool for teaching. If the voice is too weak, the class can get bored quickly and lose their focus. If the voice is too harsh or edgy as if the teacher is angry or ready to criticize, I can find this intimidating. As many classes as I have taken in my career, each teacher brings to the table (Cadillac of course) a different voice. Some use humor to enlighten students throughout difficult exercises, some use a type of singsong quality, and others (I dislike this intensely) count by slapping the sides of their thighs with their hands. Anyway, having pointed this fact out, I like to call my type of voice as a passionate one. I am truly committed to the class to drive my point across. If the class doesn’t get the point, I fail. I’m very hard on myself and often will self evaluate a class for improvement or to highlight and repeat. I never rest because a class left with the words, ” thank you ” or ” that was wonderful.” Every class will be a live performance, exciting, and with the intent to equal and surpass the last one. That is a tall order… But I want every client to know that is my modus operandi. I really want everyone to achieve a level of expertise equal to nothing else they have ever tried before.